No doubt you’ve heard of the phrase ‘Catch-22’. It’s the perfect phrase to describe the process of building your credit rating. As a fresh-faced 18 year old, you go out into the big wide world with no history of debt to tarnish your name. You’re careful with your money, you squirrel away your savings and you’re eventually ready to take out a mortgage…but, the bank manager proclaims that ‘computer says no’. 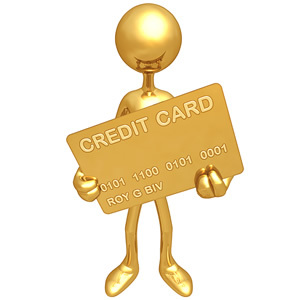 The problem is that in order to get credit, you need to have a good credit rating. You need to prove that you can put yourself in debt, and get yourself back out. You also need to demonstrate that you’re a safe borrower, and that you’re not going to move abroad to avoid making payments. Some people find that getting a credit card is the quickest and easiest way to build their credit rating, but what if you don’t want one? What if you don’t trust yourself to pay off what you spend, and have concerns that you might get a little carried away? Being registered on the electoral roll is essential if you want a good credit score. It’s used to confirm your identity. Don’t assume that you’ll be added automatically – you have to sign up manually. Nothing says ‘I’m running from debt’ like an annual change of address. To boost your credit rating, you need to avoid those nomadic urges. Instead of packing your bags and seeking the field with the greenest grass, settle down and show that you’re happy to plant your roots. Every time you apply for credit, a record is added to your credit report. If you’re continually applying for loans, then it’ll look as though you’re incredibly desperate for money. Admittedly most people don’t apply for credit unless it’s absolutely essential, but there’s a fine line between asking for funds and looking as though you can’t survive without them. A lender has to believe that you’ll have access to money to pay them back in the future. If you’ve been rejected for credit, don’t keep trying – you’ll only do more damage to your existing credit rating. Stop, spend a few months building your rating back up, and then try again if you still need the money. Experian, Equifax and CallCredit are the three main holders of credit files, and all are slightly different. You can pay a small fee to access your credit file, and to see what information has been recorded. Look for incorrect information, as it could have an impact on your current credit rating. Do any companies hold the wrong address? Do you have some debt that you’d forgotten about, or is it possible that someone else is taking out products in your name? If you spot something wrong, you’re able to chase it up. A common credit misconception is the belief that lenders want perfection from their payers. They don’t necessarily want to see that you always pay on time. Lenders are out to make money. They want to see that you eventually repay your debts, but it’s often better for them if you slip up a few times along the way. If they get all of their money back, plus interest as their profit, they’re happier than if you’ve always paid on time. There’s a fine line again between pushing your luck and making a lender happy – 0% interest deals are all well and good, but if you miss the 0% repayment deadline then your lender is likely to be happier about the deal. If you’re struggling to get credit despite having a credit history, then it’s worth considering the possibility that you’re too good with your money. Have You Had Trouble Getting Credit? Have you had trouble getting a mortgage or a loan? Have you found discrepancies on your credit report, or fallen victim to ID fraud that has affected your ability to get a mortgage? Comment below, and share your experience.